Just a batch of misc. news today. 1. 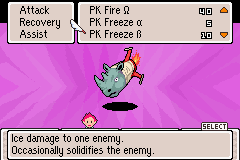 First, and probably the coolest of all, Jeffman is asking for help testing his MOTHER 3 Sprite Editor. It’s very cool, so help him test it here! 2. I still get e-mails and PMs about it. The patch downloads have slowed down of course, though I believe we passed 100,000 local downloads long ago. I don’t have an exact # but it doesn’t matter too much. 3. Translations into other languages are still progressing well, and teams are starting to finish all the non-main script text. Soon they will taste the terror of the main script! 4. An updated English patch probably won’t be out for at least a few months. We’ve fixed a few bugs and typo/bug reports have mostly stopped, so it’s looking like it’s time to get working on them. 5. 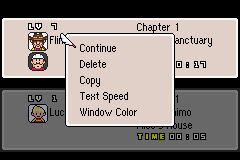 There are currently no concrete plans to translate the MOTHER 2 part of MOTHER 1+2 (that’s Jeffman’s territory), but I did start messing with the MOTHER 1 part of it a few weeks ago. 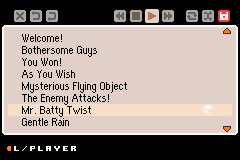 It’s been much, much easier to hack than the third game, whew. Most of the hacking is done, and now I’m retranslating the Japanese script from scratch. You can read all the details and see pics and videos here. 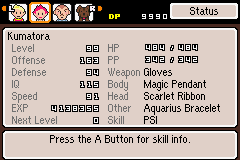 This blog is for MOTHER 3, so any MOTHER 1+2 updates will be over at my personal one. Posted on Sunday, November 30th, 2008 at 9:07 pm by Mato, filed under Uncategorized. You can follow any responses to this entry through the RSS 2.0 feed. Comments and pings are currently closed. Glad to hear from you! I was starting to think you had choked on some turkey! Thanks again for your continuing work! Wow, I think I stumbled on this one minutes after it was posted. I had a good feeling, so I thought I’d stop by. You’re too kind, Mato. I can’t believe what I’m looking at, with that translation. That’s just incredible! I’ll have to keep an eye out for the new M3 patch. I’m taking it about an hour a week through for my second trip, so the patch will be out before I finish it, I’d imagine. Take it easy, Mr. Mato. 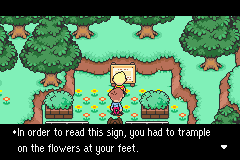 Hmm, I’ve always wondered what your take on MOTHER 1 would be like. I’m glad I’ll finally have the chance to see it. Not that Phil Sandhop did an awful job, far from it. I was just wondering. Just be careful not to accidently hit the translation with your hand; we don’t want your hands to be bruised, do we? Thanks for all your hard work, Tomato! 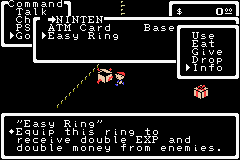 Easy ring? What’s all this? 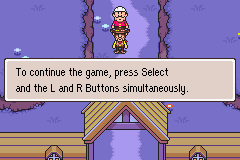 I would absolutely love to see and play Mother 1 in a fuller glory. You’ve definitely got me interested here. 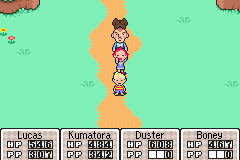 A re translation of Mother 2 as “Mother 2” than “EarthBound” could be quite interesting, too. It’d be nice to see the series finally come all together in a consistent English format. You may want to post a hyperlink to your personal blog, so those who don’t know where it is can find it. you just don’t stop working do you? keep it up. 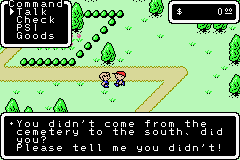 Nice to hear that you’ve been messing around with the Mother 1+2 translation, even if it’s only the first game. I’m sure many will be happy if/when it’s done. But I’m gonna take a look at the sprite editor later. 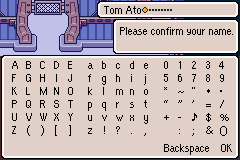 I love MOTHER 1. Definitely looking forward to seeing a more accurate and polished translation. I am excited now. Again! Wow. 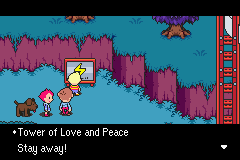 Mother 1 Translated…By Mato. 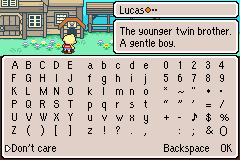 and a possible Mother 2 Translation. 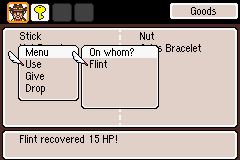 MOTHER 1 + 2 AND Mother 3 on ONE GBA flash cart? To be honest, I’m shocked that you’re not sick of the entire series. XD Or maybe you are, haha. Oh La La, Fancy editor is fun. I found a picture of Boney sleeping, I hope… Woo! I wonder what it could have been used for…? Well howdy y’all! just lettin ya know i’m still around (as if you care) and the game was SUPERB! loved it. so glad to see that the work continues into new and exciting realms like other language trans and perhaps more games. you guys have such creative brains I wouldn’t put it past you to say screw it…lets make our own game lol. keep it up and keep puttin a smile on my face! Looks great! One question, though. 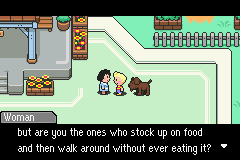 How feasible is it to use the Earthbound variable width font in Mother? I’ve heard that it’s tough if not impossible in NES games, but maybe that doesn’t apply to an NES game ported to GBA. Do you think you would even need VWF to fit in all the text? M1’s text system (like most NES games) uses a rigid tilemap system, so getting a VWF to work would require a total redesign and rewrite of huge parts of the game. So it’s not really worth it. 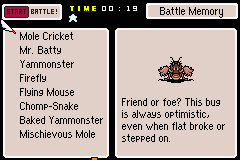 Instead, I’ve been trying to expand text windows to allow for more text at a time. I’m also going to try to make the font a little more easy on the eyes, so between those two things, I’m hoping the text in this version will be a good deal nicer than a quick and ugly translation. You might want to also check some of the comments on my blog, because I talk about some other details there. 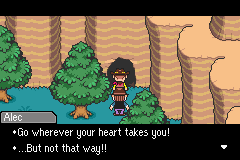 I can’t believe you’re doing Mother 1 though, and so soon! But of course I’d love to play it, it would be fantastic to play it on my DS instead of my PC.. I tried on my PC and it was not enjoyable. Whoah! What an amazing guy you are, Mato. 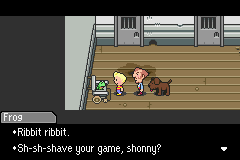 Sheesh, even after the Mother 3 translation, you’re still going out at this Mother 1 translation, now. Mato, something that’s been on my mind ever since I saw pictures everywehre were the creepy Claus pictures. 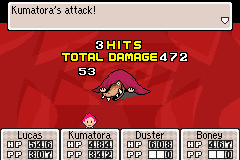 I’m still not through Mother 3. I got stuck when we finally reunite with the egg…and then I somehow reverted to an old save state and my save game was gone…and I was pissed. So I quit. But I’ll get back to it, I’m sure. 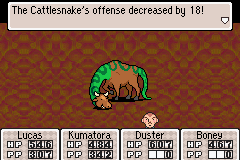 I’m excited about a different translation of Earthbound, though. It’ll be cool to see what got changed or taken out. It’s still my favorite game ever. It’s been way to long. I demand an update. SoreThumb: Right now there’s not much I can say, but I’m sure if I sat down and really focused, I could squeeze some info from the ROM about that stuff. But right now there’s not much I can say that would differ from what anyone else guesses. oh don’t worry about it. i was just kidding. i remember before after about 4 or 5 days everyone started getting antsy for another update. 1 week and 4 days since the last post; ouch! Understandable though. Just wanted to wish everyone who keeps the faith by visiting a Merry Christmas! I heard some rumors that some bugs were fixed in a new patch. Guess that isn’t true then. Just finished the game Mato. You rock my socks buddy. If you are ever in Toronto let me know and I will buy you a beer. Thanks for everything. 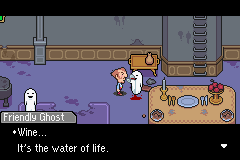 Hopefully Jeffman is willing to do the Mother 2 part though. It would be awesome to have all 3 Mother games at one time. 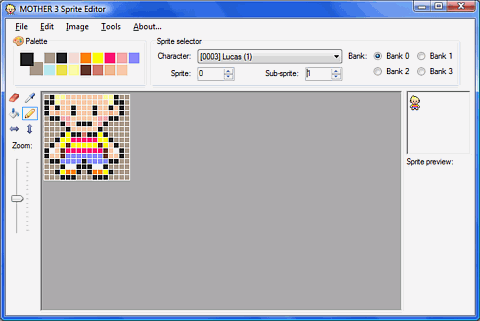 ok so i was using the sprite editor to switch the story to replace lucas with claus and vis versa. 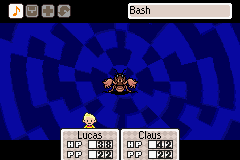 what i was wondering though was now that i have edited EVERY sprite with lucas/claus and switched them up and it still shows when claus(lucas) is fighting it shows lucas instead so i was wondering how to switch that up. 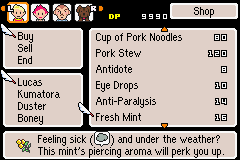 Hi Tomato, first, I’d like to thank you and EVERYONE who worked on the mother 3 translation, you all truly deserve to be hired by Nintendo and let them know that starving the Mother fans would only lead to a brilliant fan translation such as this. 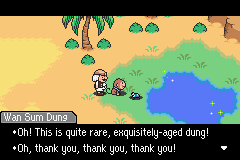 I am getting my hopes high as you are working on the Mother 1 + 2 translation, because it would be so complete on my DS if I had the entire series portable. Anyway, thank you again for your wonderful work and commitment to something that deserves attention.